Sevens star Rosko Specman tells DYLAN JACK that the time is right for him to focus on fifteens. 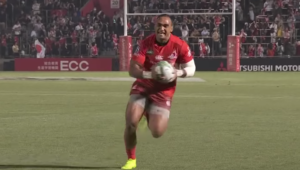 Was it a difficult decision to leave sevens? I always set myself goals and I feel I have achieved all my goals in sevens. I’ve been to a World Cup and Olympics and won the Sevens Series twice. I feel it’s time to give myself a chance to play fifteens and fight for that Springbok jersey. How did you end up playing sevens? In 2012, I played for the Sharks in a sevens tournament in Johannesburg, which we won, and that is where Neil Powell and Marius Schoeman saw me. They approached me and asked me to join the sevens academy set-up. I was unsure, because my contract was ending with the Sharks. I decided to stick with fifteens and joined Jimmy Stonehouse at the Pumas. After the 2013 Currie Cup season, I got a call asking me to join the sevens set-up and I decided to go. I played a few academy tournaments, after which I felt I could make sevens my game. I made my breakthrough in Las Vegas in 2014. What was your standout season with the Blitzboks? It was 2016-17, when we won the Sevens Series for the first time since 2008-09. I wasn’t in the team just because of injuries to senior players; I was there because the coach saw something in me. I played the whole season and that is where I got my confidence. I was nominated for the World Rugby Sevens Player of the Year award at the end of that season. Why did you decide to join the Bulls? For the past two years, the Bulls have been building a new team and the type of rugby they are playing now involves keeping the ball in hand for longer. The Bulls have always had that strong pack of forwards, but they haven’t gone back to the style of the wings just chasing kicks. How did the move to the Bulls come about? My agent and I were discussing whether the move to the Bulls was the right one. It was a hard decision, but I looked at the way they were bringing through new guys, like Warrick Gelant. The fact the Bulls wings are scoring tries also helped. I told my agent it’s time to move because sometimes you can get too comfortable with where you are. The Cheetahs were also an option for me, but I wanted to get out of my comfort zone. 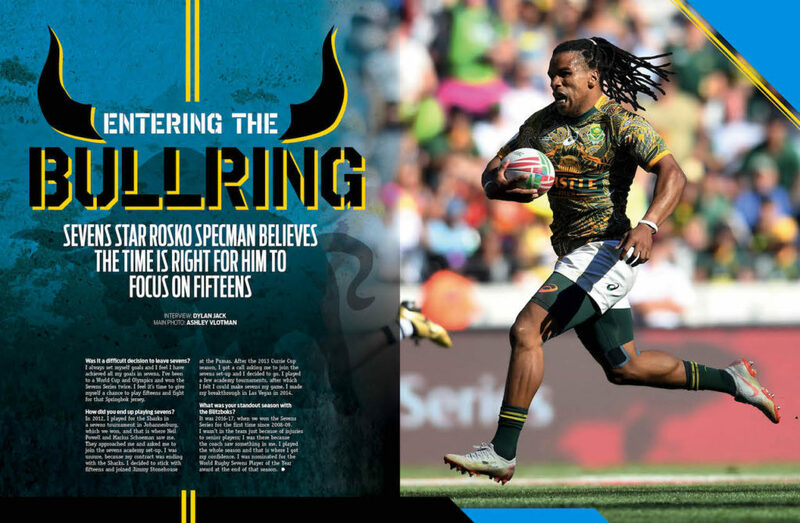 How much did seeing former Blitzboks teammates Seabelo Senatla, Ruhan Nel and Dylan Sage playing fifteens influence your decision to leave sevens? For the past two years, the sevens programme has been good at developing players so that when they get into fifteens, they have a wide range of skills. Guys like Seabelo, Ruhan and Dylan have made a successful transition and it will be fun to play against them next year. Will you be available for any sevens tournaments in future? When some guys go over to fifteens, they only go halfway and keep playing both forms of the game. I just want to close this chapter and focus on fifteens. I don’t want to know that if I play badly, I can go back to my comfort zone in sevens. I don’t want to be a player who only specialised in sevens and didn’t give myself a chance to succeed in the 15-man game. I want to focus on fifteens and not get distracted by thinking I can play at another Commonwealth Games, for example. Did your stint with the Cheetahs in last season’s Pro14 influence your decision to focus fully on fifteens? It did trigger something in me. While I was playing for the Cheetahs, I thought I could really do this. There was a stage where we were doing well in the Currie Cup. We were top of the log after the first five games and I told myself that I can play fifteens again. How confident are you that you can slot straight back into fifteens this year? I’m looking forward to the challenge. There’s plenty of competition at the Bulls; they have a few Springboks on the wing. But I am seeing it as a new challenge and it’s one I’m really looking forward to. 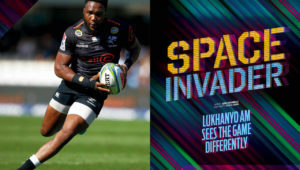 Are you wary of the competition you will face on the wing from the likes of Sage, Travis Ismaiel and Cornal Hendricks? It will be tough, but the person who wants it the most will be selected. If you don’t have competition, you get comfortable. That’s one thing I have learned in sevens: you can never get comfortable because you never know when someone is coming through from the academy. 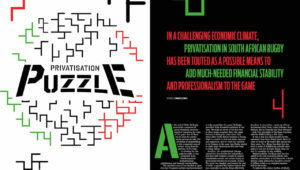 What are some of the challenges that come with shifting between sevens and fifteens? I don’t see it as something difficult. When I played at the Pumas, I was already spending half of my rugby career in sevens. It isn’t that difficult for me, but other guys need a bit of time to adjust. Playing on the wing is also easier because I have a nicer view of the game. It’s almost the same role I play in sevens. 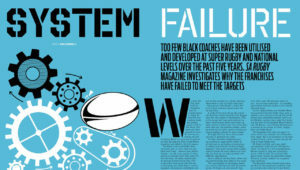 – This article first appeared in the February 2019 issue of SA Rugby magazine.